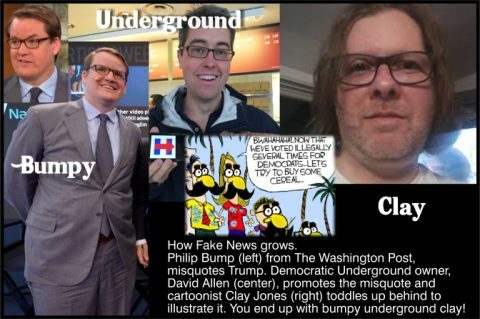 Fake News is so desperate to misinform Americans about Trump they will even bend time in their efforts. 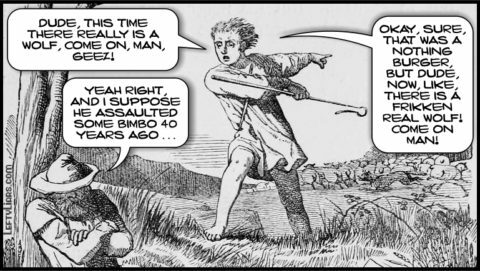 Like giant crazed blacksmiths they heat the fabric of history and bash it into the wrong shape, twisting time in the process, to create distorted gargoyles out of what used to be facts, and they do this without shame, to hurt their arch-nemesis, Donald Trump. Trump has boasted — incorrectly — about setting a record with his frequent cover appearances, but he has yet to do that. No one has been featured as many times as Richard Nixon, who appeared on the cover 55 times. 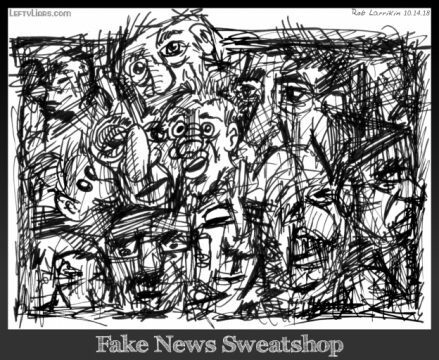 All the usual Fake News suspects joined the fray to attack Trump, calling him a crazy liar to say he had set a record with his cover appearances. The whole world agreed that he was mad to say such a thing. Let’s undo this piece of nonsense with some simple facts. First, we will begin with what Trump actually said, and then see what is true. As Time Magazine shows on this and this page, Trump was on their cover nine times from Jan. 18, 2016 to January 23, 2017. The dates were Jan. 18, March 14, July 25, Aug. 22, Oct. 24, Nov. 14, Nov. 21 and Dec. 19, 2016, and Jan. 23, 2017. There was a tenth cover on Jan. 30, a week later. 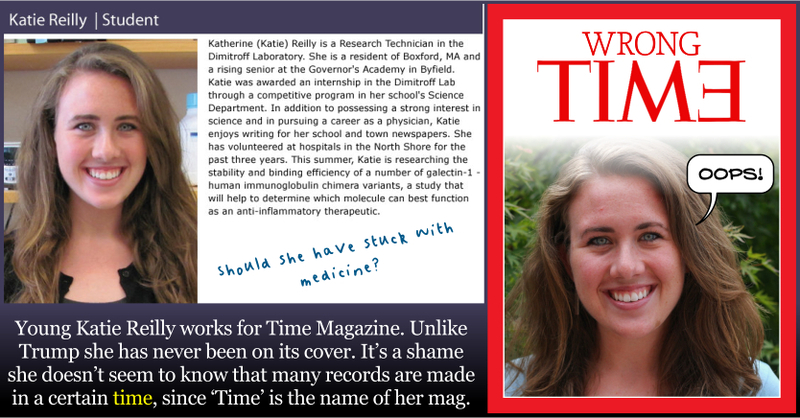 So a reporter for Time magazine — and I have been on their cover, like, 14 or 15 times. I think we have the all-time record in the history of Time Magazine. Like, if Tom Brady is on the cover, it’s one time, because he won the Super Bowl or something, right? (Laughter.) I’ve been on it for 15 times this year. I don’t think that’s a record, Mike, that can ever be broken. Do you agree with that? What do you think? Trump may have said, “like, 14 or 15” instead of ‘9’, but 9 covers was still a record – more on that later. There are points to make about his words. 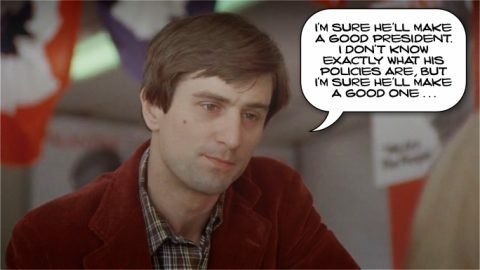 He said, “I’ve been on their cover, like, 14 or 15 times.” Second generation first language English speakers will understand in a wink what Trump meant when he said ‘like.’ It is a more casual version of “about” or “approximately,” and is often used half seriously. A person in his age group might say, “Man, I was like, starving,” when he was, in fact, just hungry. Or, he might say, “The restaurant was like, a million miles away!” The word is often used in a deliberately exaggerated way by Trump’s generation. Secondly, he said, “I think,” which is less insistent that just stating a fact. Also, the audience laughed, revealing that he was half-joking. He repeated, “I don’t think,” again, and then asked, “Do you agree with that?” and, “What do you think?” This shows he wasn’t sure about what he was saying and wanted a second opinion. The whole tone suggested Trump was merely joking and guessing, rather than stating. And now, back to the record itself. Trump was quite correct. 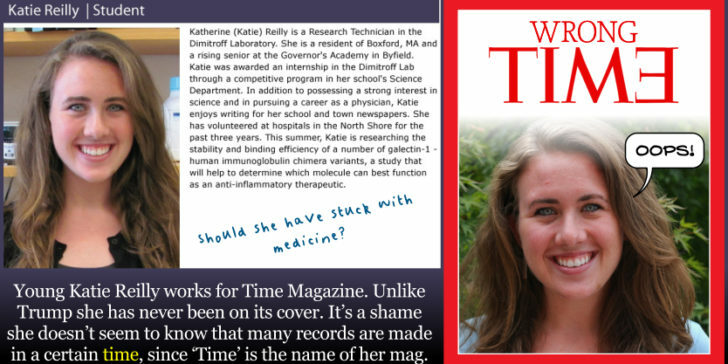 It appears that Time Magazine and Katie Reilly have forgotten that most records involve TIME as well as numbers. In Trump’s case, he had nine Time covers in a period of one year and five days, with another coming a week later. Can anyone else match that? Katie Reilly said, “No one has been featured as many times as Richard Nixon, who appeared on the cover 55 times.” That is true, but Trump’s life is not over, and he will probably break that record in the future. For now, he was talking about a different kind of record – the number of Time covers in a given time. Richard Nixon achieved 8 covers in a period of 5 months and 15 days, as can be verified on this page. The dates below show each cover that featured Nixon, and those in red represent his record for the most in a particular year. Nov. 10, 1952, Jan. 18, 1954, Oct. 10, 1955, Nov. 5 and Nov. 12, 1956, Dec. 9, 1957, Aug. 3, 1959, Aug. 1 and Oct. 31, 1960, April 14, 1967, Mar. 8, Aug. 16 and Nov. 15, 1968, Jan. 24, Feb. 28, Aug. 15, Oct. 24 and Nov. 21, 1969, April 20, June 8, Oct. 5 and Oct. 26, 1970, July 26 and Aug. 30, 1971, Jan. 3, Mar. 6, May 1, June 5, Aug. 28, Oct. 2 and Nov. 20, 1972, Jan. 1, Jan. 29, April 30, May 14, June 4, June 18, July 9, July 30, Aug. 20, Aug. 27, Oct. 29 and Nov. 5, 1973, April 1, April 15, May 13, May 20, June 24, July 1, July 22 and Sept. 16, 1974, May 9, 1977, May 2, 1990 and May 2, 1994. It’s clear Trump had every right to talk about his record in Time covers and was castigated and scoffed for his trouble by a rabid press, more interested in Fake News than facts. So who is Katie Reilly?